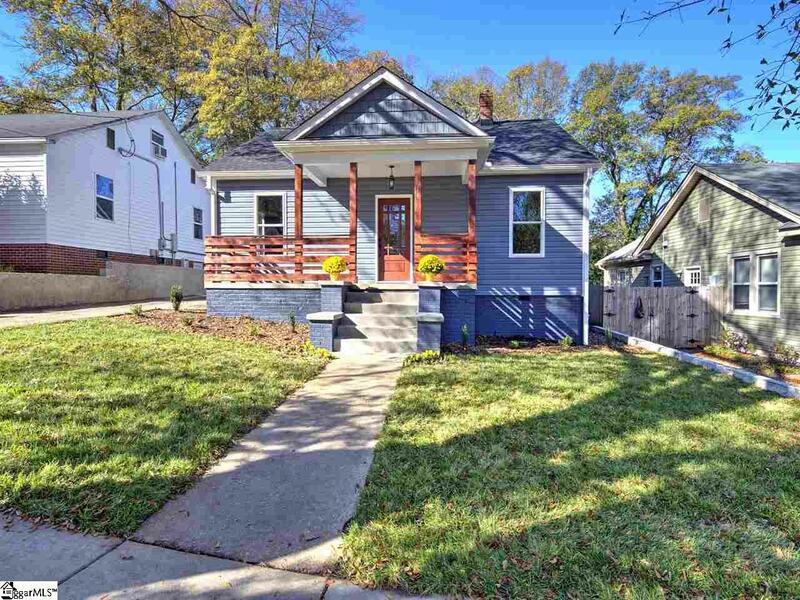 Super cute completely remodeled bungalow close to downtown Greenville and within walking distance to Cleveland Park and The Greenville Zoo. 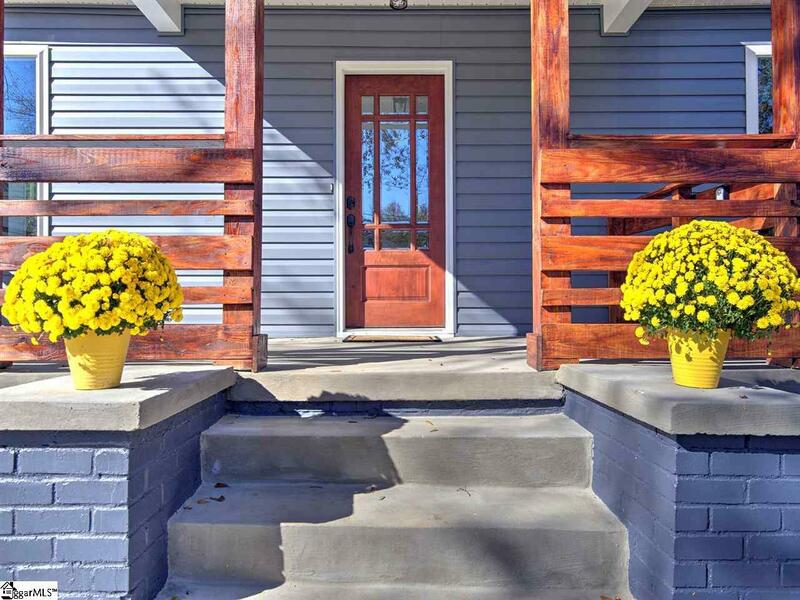 Talk about curb appeal!! 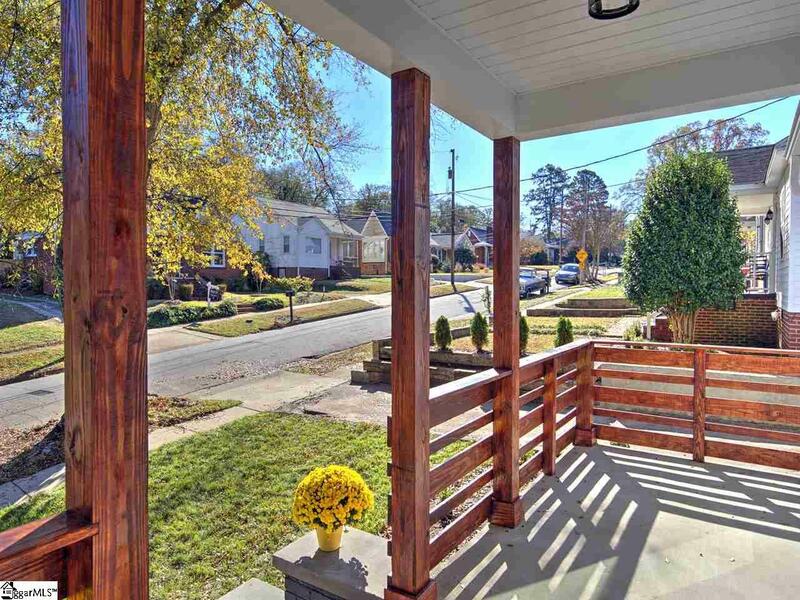 Take a moment to appreciate the stunning craftsman rails on the beautiful home near downtown Greenville. Enter through the rich stained front door into the classy open concept kitchen/living/dining room with high vaulted ceilings. Take a minute to appreciate the rich hardwood floors, new vinyl windows, and the window high on the wall letting in tons of natural light. Looking around you will notice beautiful oil rubbed bronze fixtures and hardware. The kitchen sports modern shaker style cabinets, beautiful quartz counter tops, subway tile backsplash, and stainless steel appliances. The sink is located in the over sized island, which is the perfect center piece for all your holiday gatherings. As you walk down the hall you will find two bedrooms of a comfortable size and spare bathroom, you notice the large trim work throughout the house. The spare bathroom has decorative tile floors, gorgeous vanity, and an offset tiled shower complete with niche for all your shower accessories. Make your way back into the amazing kitchen/dining room to access the master bedroom. The master bathroom has stunning oversized floor tile, an extra large vanity for all the makeup essentials, and a custom tiled shower complete with niche, standard shower head, and a waterfall shower head to help wash the stress of the day away. 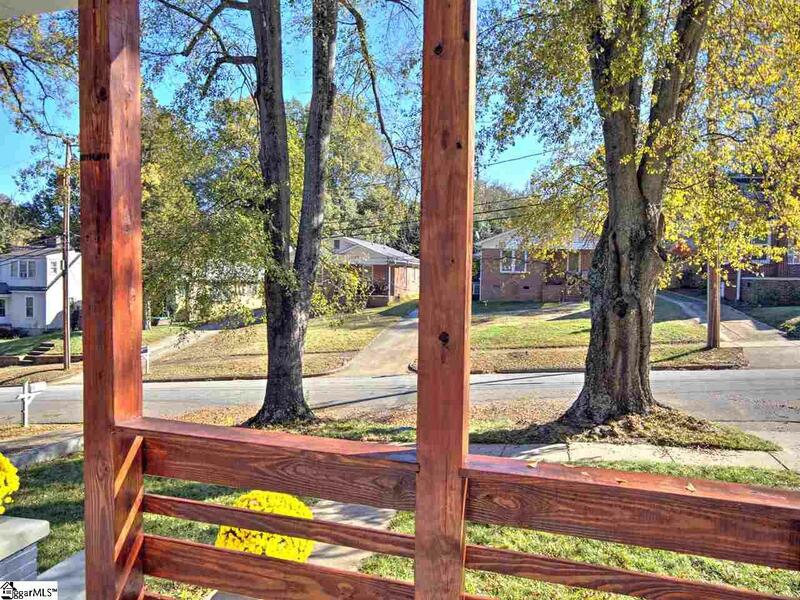 Act fast so you don't miss out on this beautiful home in the heart of Greenville.